With so many vehicles on the market, it can be tough deciding which one will complement your lifestyle and budget. Maybe you’re looking for a family vehicle that boasts an impressive cargo hold area to handle all that new baby gear. Or perhaps you’re an outdoorsy person and need something that can handle those long treks up a winding mountain. 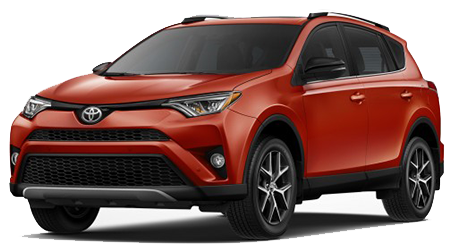 No matter what you’re looking for your new car to do, check out the 2016 Toyota RAV4. This versatile vehicle is capable of fulfilling your every whim, while delivering you to your destination in style and comfort. Here at Venice Toyota there are so many ways to shop, so start your RAV4 hunt today! Come by our Florida location to get an in person look at the aggressively safe shell and comforting interior. Too intrigued to wait? Start your search now using our online inventory and find the RAV4 that’s right for you! Our dedicated team is standing by, ready to answer your questions no matter which shopping method you choose! Call us today to schedule a test drive, we look forward to welcoming you. In the meantime, let’s see how the Toyota RAV4 compares to the Honda CR-V. The Toyota RAV4 has been given some subtle styling enhancements, while staying true to the Toyota design. Don’t fix what isn’t broken, right? With a few tweaks here and there, the 2016 RAV4 has become an intelligent vehicle that remains recognizable as a Toyota. The revised bumper and unique taillights will leave a lasting impression as you drive away and the available two tone exterior treatment is a stylish way to add a personal touch to your brand new SUV. The available 7-inch touchscreen display comes across as very inviting while the comfortably designed seats make you never want to leave. Because we know how busy life can get, the RAV4 has improved storage capabilities inside the cabin so you’re free to bring along all you need and more! You can enhance the already vast cargo space by folding down the rear seats, so go ahead, pack that extra handbag. As you hit the road in your RAV4 you’ll notice how quiet the ride is, thanks to its improved aerodynamic structure. The baseline structure of the Honda CR-V hasn’t evolved much over the years and it retains its signature boxy look and feel. The CR-V puts off an aggressive vibe, with its upgraded grille that includes chrome accents. As you get behind the wheel, you’ll notice the interior has been upgraded to include the soft touch materials the RAV4 has, which helps to create a comforting atmosphere. The rear seats of the Honda are capable of folding down as well, with the pull of a lever to further enhance its cargo space. Come see how these two compare at our Florida Toyota dealership today! Options are important when it comes time to make any decision, and the RAV4 is no different. This Toyota has two powertrains to choose from so you can rest assured you’re getting the power that suits your Florida needs. Choose from the standard gas engine or a new hybrid option. The base line RAV4 comes with a 2.5-liter inline-4 engine that puts off a breath taking 176-hp with a 6-speed automatic transmission. Looking for some bang for your buck? The hybrid RAV4 gives an EPA-estimated 33 mpg combined rating. Now you can see more of the open road and less of the gas stations along the way. This Toyota will appeal to the sport driver in you, with its sport-shift mode and 0 to 60 in nine seconds capability. Don’t take our word for it, get behind the wheel of this powerful machine today by scheduling a test drive at Venice Toyota now! If you’re looking for a predictable vehicle that can get you where you want to go, the Honda CR-V delivers. Its handling is just what you would expect, neither exceeding or disappointing your expectations. Its engine is slightly smaller than that of the RAV4, being 2.4-liter inline-4. The Honda is capable of delivering you safely to your destination, just don’t expect to be doing any heavy lifting with this Honda. Your safety is a top priority, hence the minor adjustments on the already safe Toyota design. The 2016 Toyota RAV4 was awarded as a Top Safety Pick+ from federal regulators. We help you stay hands-free with the Bluetooth connectivity, and work to protect your entire body in the rare instance of a head-on collision. The eight airbags that come standard on your RAV4 include knee bags to provide full body coverage. Looking for a bit more? Opt for the Toyota Safety System that comes with a variety of features, like a forward collision warning system, lane departure alerts, and automatic high beams. Stop by today to talk about how you can get a 360 degree view of the areas surrounding the RAV4, thanks to the available four mounted cameras. The CR-V has also earned a Top Safety Pick+ award, so let’s see what sets the RAV4 apart. 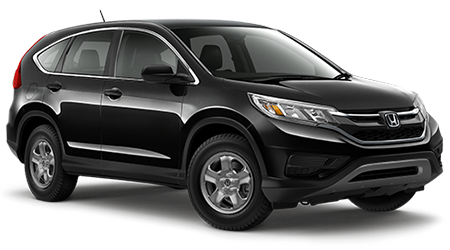 The Honda CR-V comes with six airbags, as well as a standard stability control system that does work to help prevent collisions. It has a similar lane keeping assist program that will alert the driver of any unintentional drifting, and the adaptive cruise control can also be utilized to stretch out those legs. From inside the CR-V, visibility can be limited. Thankfully, the rear camera comes standard on these Honda models in an effort to rectify the low visibility. Come down to Venice Toyota to learn more about the safety specifications of the model you’re interested in! No matter what Toyota RAV4 trim you choose, the features that come standard will amaze you. Slide behind the wheel and let the power locks keep you safely inside while you tilt the steering wheel down to a comfortable position, using the telescoping feature. The interior LED lighting provides plenty of light when you need it and the 12-volt power outlet keeps all your accessories charged. The LCD touchscreen brings a touch of sophistication to this rugged ride, stop by to see for yourself! The Honda improvements include standard baseline features similar to the RAV4: power locks, telescoping steering wheel, cruise control, as well as a 12-volt power outlet. If you’re looking for a few more comfort features, there is always the option of upgrading to a higher trim, just like with the RAV4. Don’t waste any more time in finding the vehicle for you, come down to Venice Toyota and speak with an associate about your needs! You can read all about the features of the RAV4, but nothing compares to getting behind the wheel to experience the power and comfort first hand. Give us a call and we’ll gladly arrange a test drive for you, or talk about the different financing options we have available. Our team looks forward to serving all our Florida customers so make the short drive over from Bradenton, North Port, or Port Charlotte today!